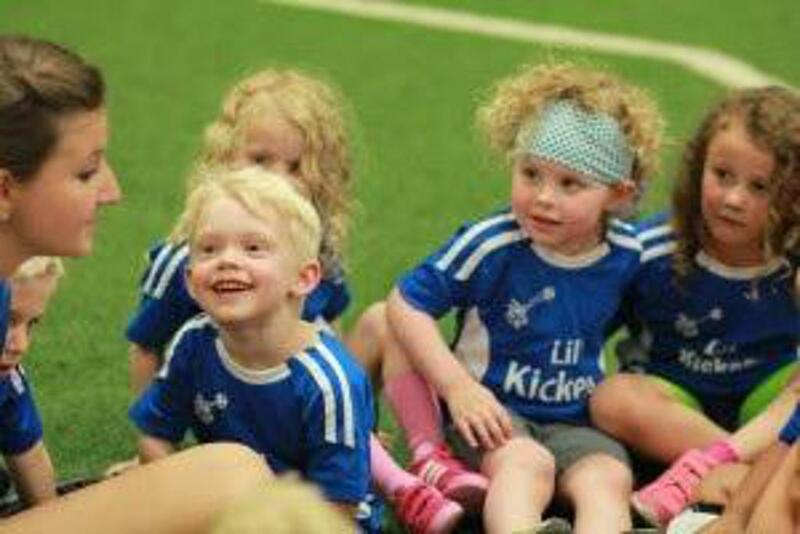 Lil’ Kickers classes are available to children ages 18 months to 9 years. The Lil’ Kickers curriculum was developed using renowned child development theory, so classes are tailored to specific ages and abilities, and can accommodate most children. While we are always true to our theoretical roots, we are continually working to discover new ways to enhance the program. 18-24 Months, Parent and Child class, building fundamental skills such as balance and coordination. Thumpers (2-3 years old parent/child) Cottontails (2.5-3.5 years old parent/child). Focus on fundamental skills and also offer another component—helping your child build a sense of independence. Ages 3-4; Hoppers classes focus on increasing balancing skills, coordination and fundamental soccer skills. 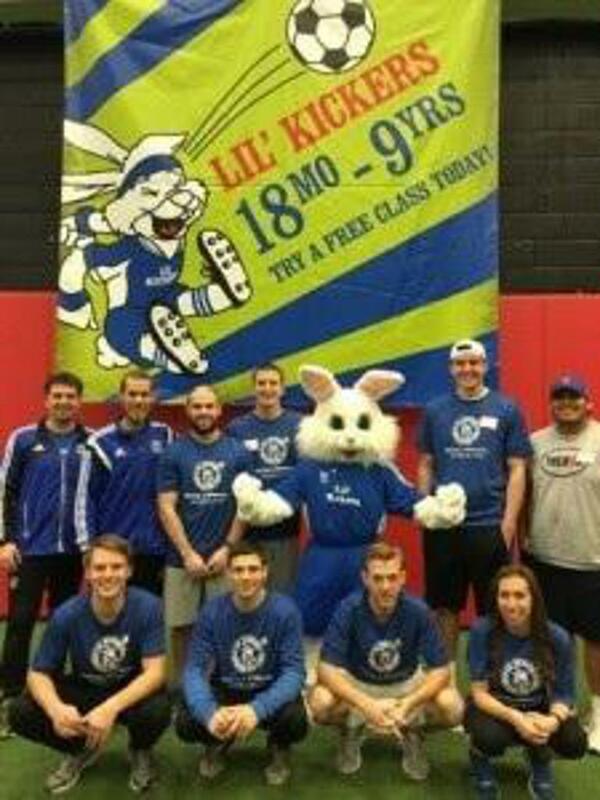 Jackrabbits classes are designed to help transition children into non-competitive team play. Big Feet: Ages 5-6, Big Feet classes are for five and six year-olds who have not played a lot of soccer before, or who respond better to a low-key environment. Ready for more of a challenge? Micros are designed to meet the needs of the more advanced players.